It was neck-and-neck the entire way, but it seems the majority of you agree with Sight & Sound’s selection of Vertigo over Citizen Kane. I was honestly expecting the opposite, but there’s no denying that both are fantastic films. This Week’s Poll: I’m still riding the high of seeing a rare screening of The Master, so my question for you this week is related to that: What is Paul Thomas Anderson’s best film? I debated on including The Master since it hasn’t received a wide release yet, but I added it just in case there are some who are firmly passionate about that being his best work. I have a hunch as to what will win, but maybe we’ll get a surprise or two. No time for a full weekend roundup this week, but I was able to catch a screening of The Window at the Noir City Chicago festival on Saturday. It was a fun noir in which Bobby Discroll — on loan from Walt Disney Studios — played the lead. I’m going to try to go back once or twice this week before the event is over, and If I do I will be sure to do a full writeup. Meanwhile, I had to go Boogie Nights, just cause I love it so much. The others may be “better”, but I cant pick against it! 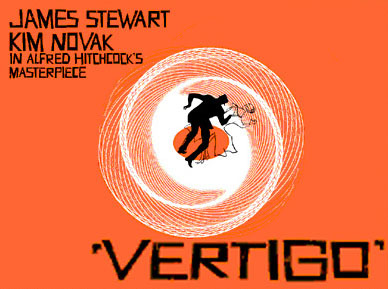 I’ve always been a fan of Vertigo. It has always been my favorite Hitchcock movie. I love Citizen Kane as well, but more for what it did for cinema and its technical achievements than the movie itself. I can definitely see that. I think I might like Citizen Kane more simply because I have fond memories of it (pretty much got me into ‘classic’ film). Vertigo I have only seen once, and I think multiple viewings are necessary to fully appreciate its multiple layers. I did love my initial viewing, though. Haha yeah I wasn’t sure if I should add it or not. But it is popping up with “secret” screenings on a regular basis now, so more people are seeing it. I definitely like Vertigo, but, for the life of me, I’ll never understand all the love it gets. It’s not even one of my ten favorite Hitchcock movies. I would probably put Vertigo around #3 or #4 for Hitchcock myself, but yeah, I wouldn’t say it it his best film. I know so many people love There will be Blood but for it’s Boogie Nights. It’s such an amazingly made film, bold, unique and memorable. Nice. I haven’t seen Boogie Nights in years. Definitely need to revisit that one soon. Ahh picking a best PTA flick is tough, but I gotta go with TWBB. I love ’em all, but that one just kills it. Yeah I hear ya, Alex. TWBB seems to be widely considered his masterpiece, but he has done a lot of amazing work. Vertigo and Rear Window are about neck and neck for me. Tough call. As for PTA, I’m way behind on his work. Boogie Nights for now. Yeah, Rear Window may be my favorite Hitchcock that I have seen. I also really like Rope, which I feel is somewhat underrated.